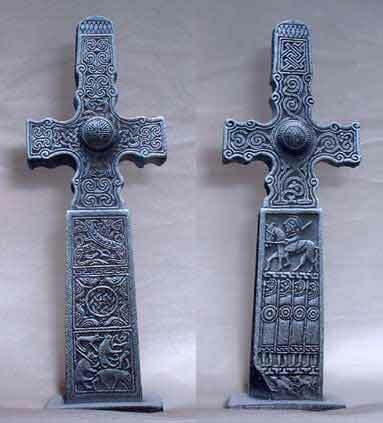 This miniature carving is based on an ancient Pictish cross-slab, located at Aberlemno churchyard, Angus. 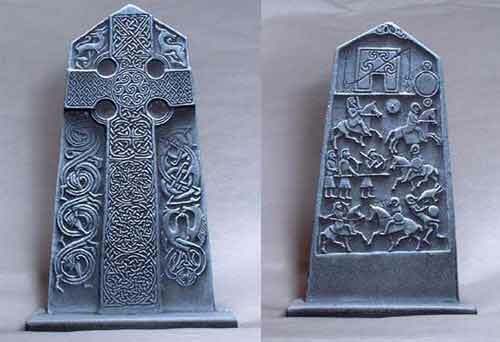 The stone is 2.3m tall and was carved from local sandstone around the 7-9th Centuries A.D.
Made of cast plaster with slate effect finish. Hand Made In Scotland, complete with presentation box and Description.